Give your name, address, owner of the vehicle and registration number of the vehicle to any person injured, the occupant/owner of any damaged vehicle, and the police officer on the scene. If an injured person cannot understand the required information, you must notify the nearest police authority. You must remain at the scene of the accident until a police officer arrives unless you are removed by an emergency vehicle. If you collide with an unoccupied vehicle, you must attach the required information firmly to the vehicle in a conspicuous place. Under the Ohio Motor Vehicle Safety Responsibilities Act, the driver of a vehicle involved in an accident which results in injury or death of a person or damaged to property must report to the Ohio Registrar of Motor Vehicles within 30 days. This report must be made regardless off fault. Reports can be obtained from the police or Bureau of Motor Vehicles. Remember, no one may force you to give your opinions of the cause of the accident, either on the scene or at the police station. No one can force you to admit blame. You have the right to a lawyer before making any statements. Obtain the names and addresses of all drivers in other vehicles involved. You should also obtain the names and addresses of all passengers in the other vehicles and of all persons who may have been witnesses. If you cannot obtain the names and addresses, try to obtain the license numbers of their cars. Take notes of the circumstances of the accident. Note the position of the cars before, during and after the accident. Measure skid marks, and note other structures or markings which may be relevant. Assist the investigating officer, but do not give any opinion as to the cause of the accident. If there are serious injuries, you should attempt to make the injured person comfortable and phone for medical aid immediately. DO NOT MOVE injured persons in anyway that could aggravate their injuries. If you think you or your passengers may have been injured, you and/or they should consult a doctor immediately. 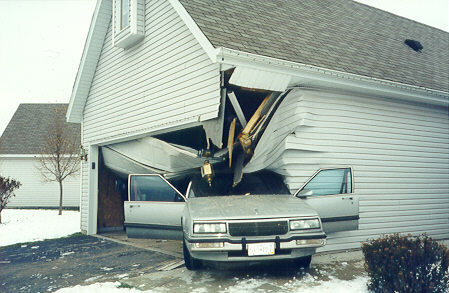 Report the accident to your insurance company immediately. If you are required to appear on a traffic charge, you should obtain the advice of an attorney. Make no payments to other persons without legal advice. Do not hurriedly accept a settlement of a claim you may feel you have. Attorney David P. Drew will help you determine if you are entitled to compensation, how much, and from whom. To protect your rights, contact Attorney Drew at (330) 689-1529 immediately after an accident. The decisions that must be made immediately after an accident are very important, and can greatly affect how your claims are resolved.